What follows is an excerpt from a feature for the 2019 Offseason Handbook, which you can order here on a name-your-price basis and receive it right away. Rhett Bollinger has covered the Twins as MLB.com beat writer for many years, and he's as tuned into what’s happening with the team as anyone on the beat. As such, he was the perfect choice for providing a high-level overview of the key decisions lying ahead of Minnesota’s front office this winter. The 2018-19 offseason is set up to be one of the most interesting ones in years for the Twins, who have plenty of payroll flexibility with several contracts coming off the books, including Joe Mauer ($23 million) and Ervin Santana ($13 million). With roughly $70 million in payroll commitments in 2019, the front office should be able to target roster holes via free agency even with 10 players eligible for arbitration raises. Here’s a look at how the offseason could go for the Twins. After the typical roster cleaning in October, the Twins have to decide who to protect from the Rule 5 Draft by Nov. 20. The Twins have a few no-brainers such as infielders Nick Gordon and Luis Arraez, outfielder LaMonte Wade and right-handed reliever Jake Reed, while several others are worth a look such as right-hander Nick Anderson, infielder/outfielder Zander Wiel, catcher Brian Navarreto and left-hander Tyler Jay. Anderson and Jay are both close to the Majors, so they’re worth protecting, while Wiel and Navarreto are both interesting decisions. With the emergence of Willians Astudillo at catcher and as a utilityman, the Twins can afford to leave Wiel and Navarreto off the 40-man. The Twins have 10 players eligible for arbitration: infielders Miguel Sano and Ehire Adrianza, outfielders Eddie Rosario, Max Kepler, Byron Buxton and Robbie Grossman, right-handers Jake Odorizzi, Kyle Gibson and Trevor May and left-hander Taylor Rogers. Of that group, only Adrianza and Grossman are non tender candidates but I’d tender contracts to both and let them compete for jobs in Spring Training. Adrianza has versatility and Grossman finished the year strong, so I’d give them another look. I’d also consider trading Sano this offseason, but his value is so low it doesn’t make as much sense. Want to read the rest of this story, and 70 pages of in-depth analysis of the offseason about to get underway? Download your copy of the 2019 Offseason Handbook and dig in. Also, make sure to follow Rhett on Twitter. It's supposed to be buy low, sell high.Sell Sano?Sell low.And I'm pretty tired of that strategy. Agreed. It's hard to imagine anyone offering a package that would make trading him worthwhile. Sano's gonna be an interesting project for Baldelli. I think I'd non-tender Grossman. He's going to be looking at raise in arbitration (shocking to most Twins fans, but that's the way the process works) and I'm not sure a no-power DH/poor defensive OF is a great for for this squad. The solid slugging in 2016 looks like a fluke year and I dunno if it's worth paying him $2.5-$3M for his OBP. Feels like there will be better options in FA to improve that slot on the 25-man. The only thing that makes this a little bit of a question is he is a switch hitter, but I suspect he's going to be increasingly ineffective against RHP, which costs value there too. I'd hate to end up keeping him on the roster if someone else outperforms him in Spring Training because we don't want to eat the contract. But maybe someone who has a better feel for the FA market will correct me. I'd also non-tender Grossman. He's replacement level, is out of minor league options, and won't be paid the minimum. His late season stats are tainted by them being September based....I'd just look at what he was worth over the last three years and move on. It's really about the lack of flexibility......he has no options left, and those that replace him might. (or, if they sign/trade for a really good player to DH/1B/RF, they don't need him.....). They aren't winning anything major next year, most likely....move on from mediocre veterans. Take chances on unknowns or add better players. I'd keep Grossman around, but I'm not strongly opinionated on it. They may trade one of Kepler/Cave and if they dump Grossman as well the team will have to sign a Gomez or Span type to a 4th OF spot. Grossman may be a better option and use the remainder of Kepler/Cave to man CF when needed. I also think people underestimate the value Kepler has as a CF. I think the FO could get a strong package for him from a team that needs a CF. He's above average on defense and his bat plays fine there. He's probably a 3+ win player over a full season in CF. He's worth half that in the corner. His value is kind of wasted on this Twins team. The only way we’re trading Sano is if we’re trading for an upgrade, not prospects, so we really shouldn’t worry about getting burned. 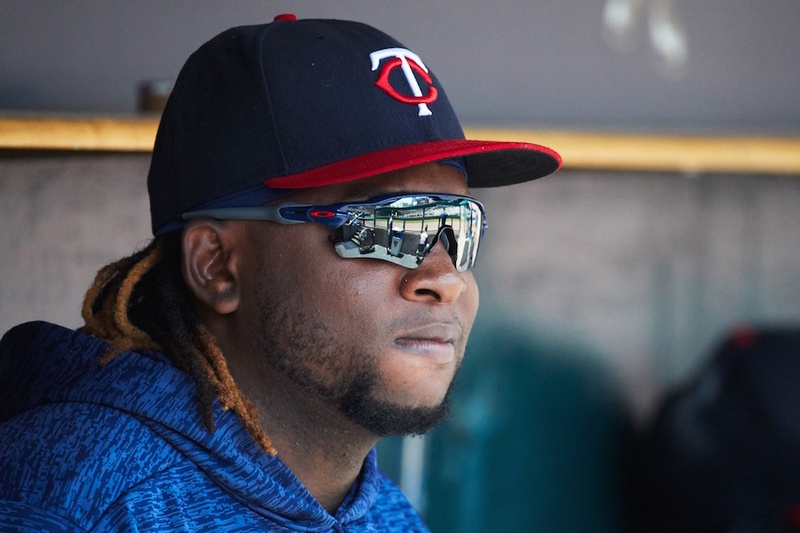 Now let’s see if we can turn Miguel Sano (and a couple prospects) into J.T. Realmuto, Matt Carpenter, or Anthony Rendon.